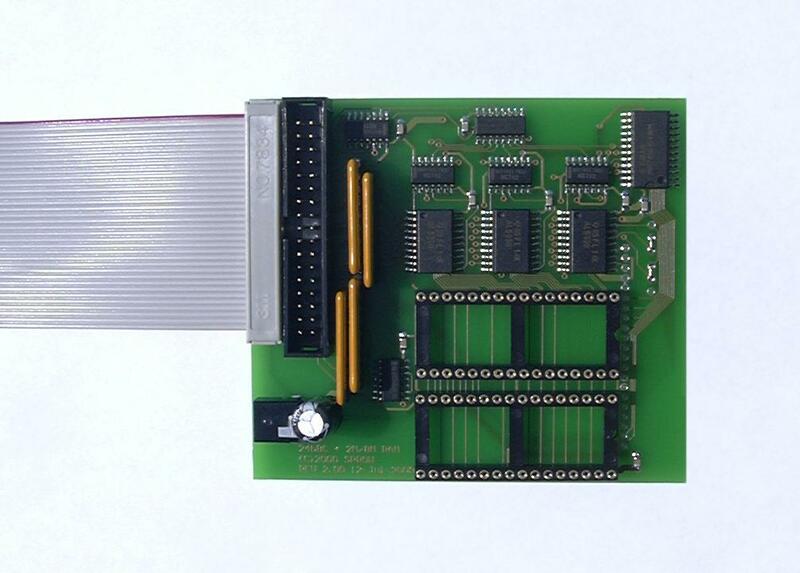 Having released both the RAMFS software and accompanying manual in February 2001's edition of EUG to build an (up to) 8 mega byte RAM disc, anyone who still hasn't had the nerve to build it on strip board can now order the board ready made! Depending on whether you feel happy soldering surface mounted components you may want to go for a ready made and tested board or start with a partly assembled kit to finish yourself. However the original article hinted that you can eliminate 3 chips by replacing the read buffer and write latches (74LS373 and 74LS241) with read back latches, in particular the 74ALS990 is suitable. By choosing surface mounted components instead of through hole DIL parts the board size can be further reduced to just 3" by 3.5" which includes a full megabyte of RAM. The filing system supports up to 8 megabytes and a fully decoded address signal is available on a 21 way header should you need it. Optional terminating resistors may be fitted if there are no other devices plugged into the 1MHz bus, or these can be omitted and the integral loop through connector used to "daisy chain" the other 1MHz bus devices together. A 1.3mm power plug supplies the board with +5V. Two 32 pin sockets house either 1x4Mbit, 1x1Mbit, 2x4Mbit or 2x1Mbit chips depending on how much RAM is needed in your case. Current consumption is 125mA quiescent, rising to around 130mA average during RAM accesses. All of the above options exclude the cost of the RAM devices which are dictated by the amount of storage you think you may need. When fitting the RAM to the PCB a pair of option links determine which type of RAM chip is in use, though the actual amount of RAM is automatically detected by the software on power up.